Hello everyone! I’m Abby from Schoolhouse Talk and I am extremely excited to be sharing on Practically Speeching today! I have been working as a speech-language pathologist for four years, and currently work in a public school with children ages 3 through 1st grade. They are such a delightful age to work with and they keep me smiling! Today I wanted to share some ideas for teaching narrative language and story grammar skills. Why is it important for children to be able to provide narratives and retell stories? The ability to talk about their experiences and retell stories is something children need to be able to do in academic settings as well as in other places (e.g. at home when a parent asks, “What did you do in school today?”). Plus, the evaluation of narrative language skills is a great opportunity for concurrent evaluation of language content and structure. Bonus! CCSS.ELA-Literacy.RL.1.2: Retell stories, including key details, and demonstrate understanding of their central message or lesson. CCSS.ELA-Literacy.RL.1.3: Describe characters, settings, and major events in a story, using key details. CCSS.ELA-Literacy.RL.2.1: Ask and answer such questions as who, what, where, when, why, and how to demonstrate understanding of key details in a text. CCSS.ELA-Literacy.RL.2.5: Describe the overall structure of a story, including describing how the beginning introduces the story and the ending concludes the action. CCSS.ELA-Literacy.RL.3.6: Distinguish their own point of view from that of the narrator or those of the characters. And that’s just a snapshot of what students need to be able to do for reading standards through third grade! There are also speaking, listening, and language standards that go right along with the narrative language/story grammar skills. Oofta! I don’t know about you, but when I am working with my students, they are highly motivated by the iPad. 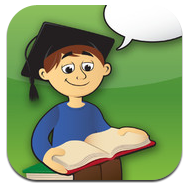 There are so many great apps out there to help build narrative language and story grammar skills. Below I have highlighted the best ones I have come across. This is the app I use the most. It comes preloaded with 24 short stories organized by reading level. The pictures include animation, which my students love. After they hear or read the story, you can quiz them with built-in wh-questions and save their scores to their profile. 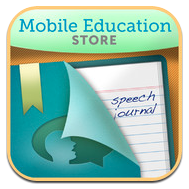 Best features include capability to write your own stories and add pictures. 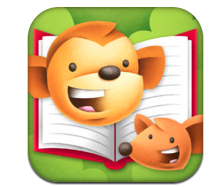 Bonus: text-to-speech feature is great to use for story retell! 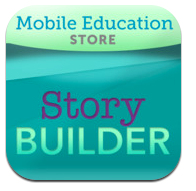 Story Creator is super for building your own stories from scratch! 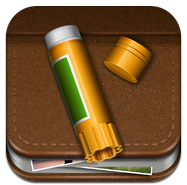 You can import photos and videos or use the illustrating tools. Can also add text and audio on each page. It is such a great tool to talk about various story elements as you build your story. Bonus: stories can be shared online and across devices. 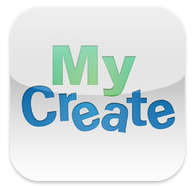 This app has many of the same features as Story Creator, but it isn't as clean and easy to use in my opinion. It's for iPhone, but can be used x2 on iPad (stays a bit blurry when enlarged). Love, love, love this app! Students spin the wheel and each spin ads another element to their story. It’s great for addressing story grammar and especially sequence of events. My students have a blast spinning the wheel. You can record up to 30 seconds of audio with each spin, and then go back and listen to the entire story at the end. Bonus: Story Wheel comes with fun themes like Knights and Princesses, Pirates, and Space. 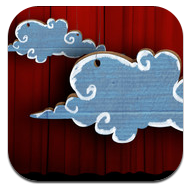 Build your story scene by scene; add pictures, movement, music, etc. Each scene adds another element: plot/conflict/resolution. Fun, fun app! 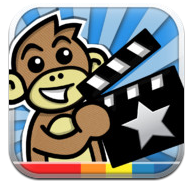 Very similar to Toontastic, but only one static scene to work with. Students are provided a picture prompt and the start of a sentence, then fill in the blanks with audio recordings. When finished, they can hear the whole story. Use the camera to create/select images. Then make a voice recording to go with the image. 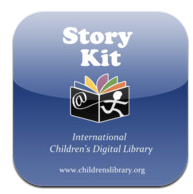 Great to use for sequencing, story grammar, and even picture schedules. Can email creations, but audio files and images are separate files. Bonus: Each student has their own archive of creations. 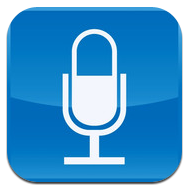 BONUS APPS: Dragon Dictation (Nuance Communications) and QuickVoice Recorder (nFinity Inc) are both great FREE apps for making quick audio recordings. 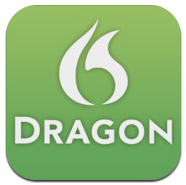 Dragon Dictation is a voice-to-text app and QuickVoice is audio only. I use Quick Voice to record all my language and speech samples. FYI: Siri is also great for making quick voice-to-text recordings! Benson, Susan. (2009). Understanding Literate Language: Developmental and Clinical Issues. Contemporary Issues in Communication Science and Disorders, 36, 174-178. Stadler & Ward. (2005). Supporting the Narrative Development of Young Children. Early Childhood Education Journal, 33(2). I hope this helped you find a new resource! You can follow my blog over at Schoolhouse Talk. I also share products and freebies in my TpT store (including story grammar picture prompts!) and have a growing addiction to Twitter. Thank you, Alexis, for the opportunity to share with your readers!